This inaugural year has two recipients for the best doctoral dissertation completed at a Canadian university in the field of Human-Computer Interaction: Daniel Vogel and Garth Shoemaker. Two recipients for this award is not the norm. However, we (the selection committee) were compelled to award a ‘tie’. Essentially, we thought other PhD students could benefit by reading both theses as they are quite different in approach, scope and perspective. Yet in spite of these differences, they share much that makes them award-worthy. They both make significant contributions to HCI. They both exhibit the range of skills expected of an excellent researcher in Human Computer Interaction: creativity and design, ability to conduct rigourous studies, technological prowess, intellectual thought, and literary competence. Garth Shoemaker’s thesis, entitled Body-Centric and Shadow-Based Interaction for Large Wall Displays is an example of an innovative research project that introduces and expands upon body-based interaction techniques. While body-based interactions have recently entered the public eye through systems such as the Microsoft Kinect, Garth’s work (started in 2006) not only anticipates this novel way of interacting with computers, but situates it in an intellectual framework. As such, the thesis will likely spark considerable future work in this area. Garth completed his Honours Bachelor of Physics and Computer Science at Queens University. 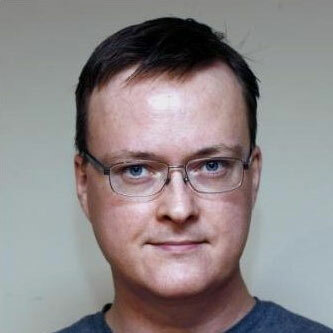 He received his Masters in Computer Science under the supervision of Dr. Kori Inkpen (Simon Fraser University), and his PhD under Dr. Kellogg Booth (University of British Columbia). As a graduate student, he served as a visiting researcher at Osaka University Human Interface Engineering Lab. Earlier, he was the Director of Research (and also a senior developer) at Idelix Software, where he led research into new visualization technologies. He also received several NSERC Postgraduate Scholarships, and has a variety of publications and patents. The award is named in honour of Bill Buxton, a Canadian pioneer who has done much to promote excellence, both within Canada and internationally, in the field of Human-Computer Interaction. Bill truly advocates HCI. He challenges how academics and practitioners think, and inspires them to do things differently. This is why we are proud to name this award after him. The winning thesis is selected through a juried process by a selection committee consisting of accomplished researchers in Human Computer Interaction. This year, that jury was Drs. Saul Greenberg (U. Calgary), Carl Gutwin (U. Saskatchewan), and Pourang Irani (U. Manitoba).